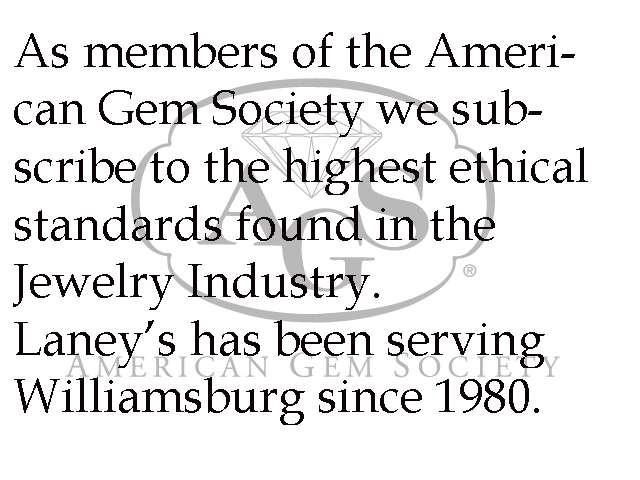 As members of the American Gem Society, we are delighted to join the organizations celebration of 70 years of excellence. Robert M. Shipley formed the American Gem Society in 1934. His vision was to create an association dedicated to setting and maintaining the highest possible standards of business ethics and professionalism in the jewelry industry. Protect the jewelry buying public, act as a challenge to stimulate the merchant to improve his/her ability and position in the community and protect the experienced and legitimate merchant against unqualified competitors. To insure continued protection for the consumer, each titleholder must compete an annual recertification exam. 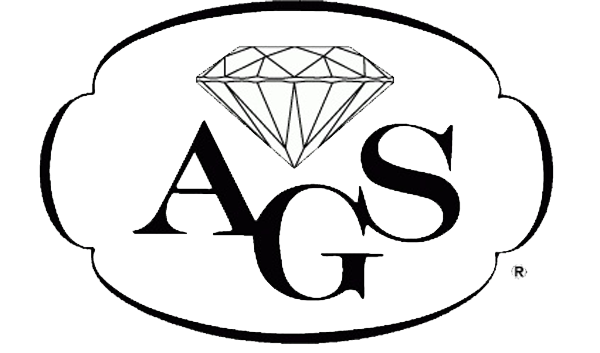 This commitment to excellence is a statement of the jewelers expertise and his or her continued support of the ideals upon which AGS was founded. When you shop at Laneys you can be assured that you are doing business with jewelry professionals; a staff and store committed to ongoing gemological training, customer service of the highest caliber, and above all integrity. LARGE PARKING LOT BEHIND BUILDING! Laneys A Discussion on Diamonds and Diamond GradingThis site is dedicated to our love of jewelry and gemstones! We have written extensively about the subject. We hope you will find the information both informative and entertaining. If you have any questions please contact us! The more you know the better jewelry shopper you will be. 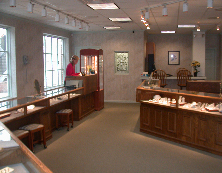 Look through our library of jewelry related articles.